Meet the Care Team at the Scaredy Cat Hospital! Meet the Talented Team of Vet Techs and Office Assistants Who Make Our Work Possible! Our expert feline doctors aren't the only ones obsessed with cats around here! At the Scaredy Cat Hospital, we have an entire team of caring, dedicated veterinary technicians and office assistants who have years of service in the veterinary field. 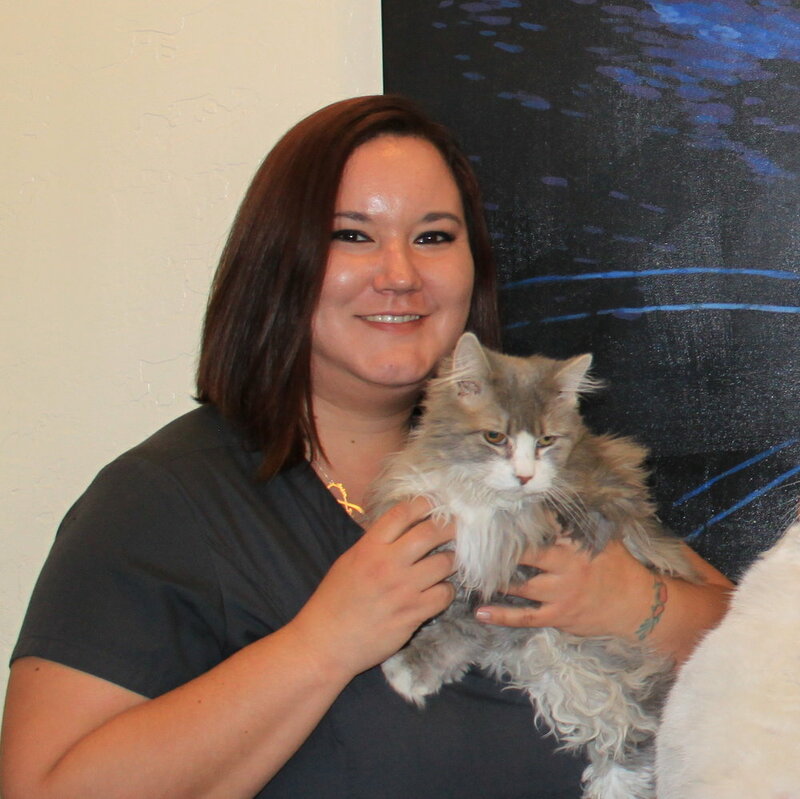 When you arrive, you'll be greeted warmly by our front office staff who will check you in, and then one of our vet techs will bring you and kitty to the exam room. The vet tech will then begin our two-tiered medical history, asking you vital questions and recording them in our system so that the doctor can elaborate further when s/he arrives. Your loved one will be in gentle, compassionate, experienced hands as our vet tech assists the doctor with the examination. We have very little turnover on our staff -- a testament to the fact that Scaredy Cats is not only a top-notch veterinary hospital, it's also a fantastic place to work. Meet the Care Team below. . .
Our CareTeam (And the Staff Cats!) Can't Wait to Meet You and Your Kitty! Call 480-990-CATS(2287) or click the button below to request an appointment. . .
New Client? $25 Comprehensive Medical Exam for Your Kitty. . .
NEW CLIENTS: Take advantage of a very special offer for our new clients: a $25 comprehensive medical exam for your kitty ($68 value). Click the link below for more information and to register (limited availability; act now).